And, the Upper and Lower Colorado River basins stand out as well, in bright yellow. At the top of the map, the Souris-Red-Rainy Basin and the Great Lakes Basin are illustrated in green. 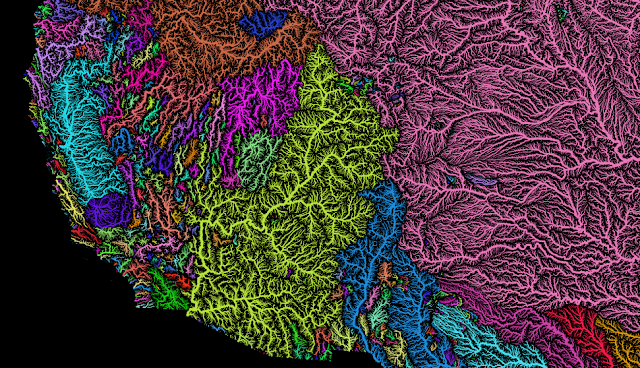 It also shows the basin of the Rio Grande snaking between the Colorado Basin and the Arkansas-White-Red Basin. 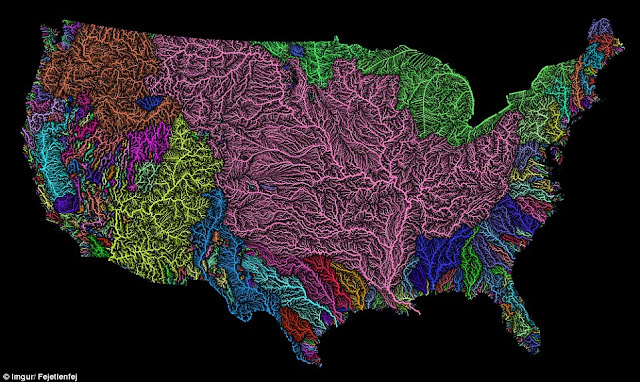 The Rio Grande is indicated in blue, with this basin reaching all the way down to the bottom of Texas. Along both the east and west coasts, a jumble of rainbow colours reveals the networks of much smaller systems that border the Pacific and Atlantic Oceans. 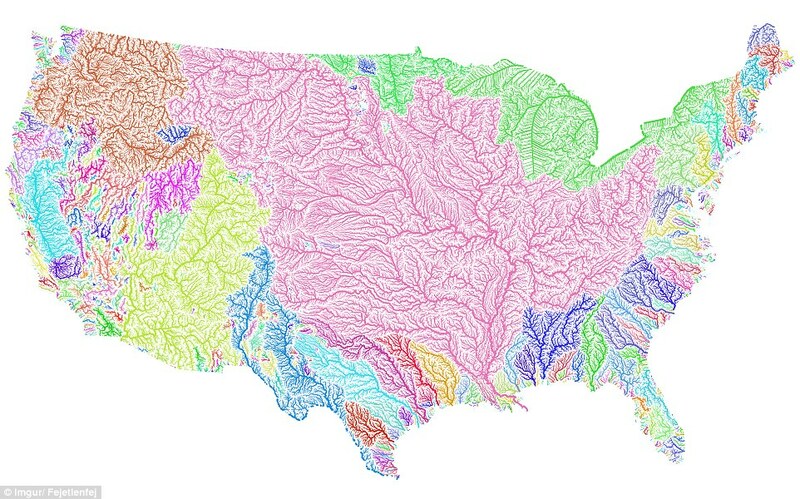 Responses to "The veins of America: Stunning map shows every river basin in the US "
Thank you. Protect our waters. Yes, MNI WICONI.